Receptionists get paid a mean annual wage of $25,990, or $12.49 per hour, according to the 2013 U.S. Bureau of Labor Statistics. A receptionist's annual salary varies depending upon factors that include geographic location, education, experience and employment sector. As of 2013, the lowest-paid receptionists earn a yearly salary of about $18,120, and the highest-paid receptionists earn an annual salary of $37,770. 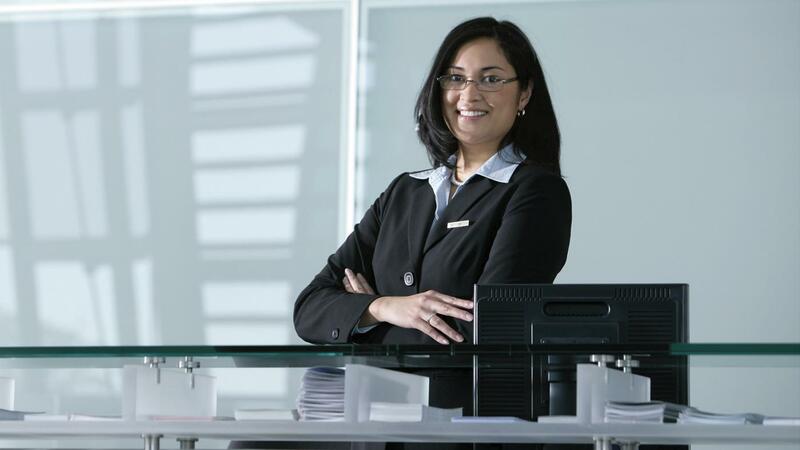 Receptionists can expect to receive some of the best wages in the metropolitan cities of Champaign, Ill., San Francisco, Calif. and Santa Rosa, Calif. The annual mean wage in San Francisco is $36,780, nearly $10,790 more than the average receptionist yearly salary. How Much Money Do Car Painters Make? What Is the Salary of a Chemical Engineer? What Is a Way of Finding the Average Salary in 2014? How Much Money Does a Horticulturist Make? What Is a Professional Baseball Scout's Salary? How Much Money Do Hairdressers Make a Year? How Much Money Can Nurses Make in Florida? What Is the Average Hourly Salary for a Phlebotomist?